Besides the Chargers stadium, there is no other hotter issue these days in San Diego than that of the issue of vacation rentals. And this is particularly true in the beach and coastal communities of San Diego, like OB, Pacific Beach, Mission Bay. It is an issue that hits close to home and is a personal one for many San Diegans. A good friend of mine just got married up in the Bay Area. He and his wedding party of 5 found a nice, roomy house in Berkeley with such a nice backyard that they held their ceremony there. They had found the place on Airbnb after another real bed and breakfast had cancelled on them at the last moment. Another buddy of mine – a former OBcean – flew out here last spring from the East Coast and rented a 2 and 1/2 bedroom house on Muir Street via a site like Airbnb. There is no way he, his wife, 2 kids, mother-in-law and aunt could have afforded a hotel for that many of them. I have some good friends who have a 2-bedroom house in OB a block from the beach. They’re both retired and when they leave town, they occasionally rent out their house to vacationers through an online website. The money received helps them maintain the house and with other living expenses. My young daughter and her hubby recently drove out to Joshua Tree with friends for a break and found a inexpensive house to stay in, close to the Park with Airbnb. They couldn’t afford a hotel with their limited income. Yet at the beaches, the complaints have been coming in. Local residents are pounding their verbal fists at community meetings, city council committee hearings, in letters to the editor. They cite the noise, the traffic, the trash, the late-night parties, the rowdiness, the disruption of their peaceful neighborhood, the “pop-up” hotels that have turned their residential communities into revolving doors of strangers. Housing advocates cite the loss of affordable housing, as hundreds of rental units are taken off the market when landlords eye the more pricy charges they can demand to short-term vacationers for those units. This squeezes the rental market and forces up prices. People who want more controls on home-shares say landlords are taking hundreds of rentals off the market, exacerbating the an already tight housing stock and sky-high prices. They say landlords are motivated to rent units to tourists rather than long-term tenants. There is even a loss of real community when vacation rentals and short-term rentals begin to take over entire blocks of once vibrant neighborhoods. On the other side, proponents of vacation rentals claim that they bring much-needed money to pensioners, grand-mothers, and others who lease out rooms or entire houses to supplement their limited incomes. The rules are too strict, they say, and violate property rights and the right to their livelihoods. They cite that the problem short-term tenants are a minority and most are well-behaved. And plus, sites like Airbnb allow people to take affordable vacations in a trending “sharing-economy”. The issue’s complexities are reflected in that it turns out that vacation businesses are major players in who places ads on Airbnb – that it’s not all grand-ma’s. And in fact many houses that are leased out for short-terms are homes and will never be part of the rental market – thus, they’re NOT removing potential rental units. It is such a heated and contentious issue that when a San Diego City Council committee held a hearing on the issue in April, so many people turned out, a second one had to be scheduled later on May 29th. San Diego has found itself as just one of the latest battleground over the issue of “house-sharing”. It’s especially an issue in many of the cities and towns that hug the California coastline – as the success of such online room/house rental agencies as Airbnb – a multi-billion dollar business – forces government to play catch-up to new technology and lifestyles. Ever since Councilwoman Lorie Zapf and her staff were met with an avalanche of complaints about short-term rentals at a Pacific Beach community meeting, the issue has been on the San Diego City Council’s radar. In April, the Pacific Beach planning group voted to prohibit vacation rentals in single-family residential areas that are for less than 30 days. Zapf, of course, represents much of the coastal areas of the city which are in District 2, and some of the most impacted neighborhoods – and it’s probably her office that has received the most noise about the issue. Both pro and con. So, what is city government doing about the issue? In a March 30 memo Councilwoman Zapf called on the mayor and council to update the municipal code to something akin to what the cities of Encinitas and Solana Beach have for restrictions on their vacation rentals. Zapf chairs the City Council’s Smart Growth and Land Use Committee and it was her committee that had to stretch into two sessions, including 6 hours of public testimony. Some of the passionate public speakers proposed restrictions on vacation rentals such as minimum stays of 30 days, restrictions on occupancy, calls for a permit process, improved city monitoring and enforcement of compliance, and higher fines for noise and nuisance issues. Some spoke for an outright ban in certain communities. In the end, the 4-member committee punted. They unanimously voted to request that the city use more resources and step-up the enforcement of noise and nuisance regulations – which may begin this summer – and they asked city staff to report back on alternatives after doing more research and community outreach. Alex Bell, Zapf’s PR staffperson, updated me this morning during a phone call to her office. City staff will take their proposals to the Committee of Planning Committees, to the Technical Advisory committee – which is a long-standing committee of residents who give advice on landuse issues – , and back to Zapf’s committee in September or October. Then it goes to the Planning Commission. Zapf is most concerned, Bell said, with protecting single-family residential zones. She wants to place a requirement that if the houseowner is not on site, they cannot rent for less than 21 days without obtaining a permit. The councilwoman is also concerned about enforcement issues around these limitations. What may happen is that staff comes forward with a proposal that has stricter limits on short-term rentals depending on the landuse zone. Single-family zones would have more than mixed-use zones, for instance. Her constituents in District 2, Bell said, tend to support more restrictions on these types of rentals. [San Diego] is in the early stages of addressing the issue. No changes are imminent. Visitors are unlikely to see any immediate impact except perhaps stronger enforcement of noise and other nuisance violations. Solana Beach: One of the first cities in San Diego County to set limits on short-term rentals, in 2003, it adopted an ordinance that prohibits rentals of less than 7 days in residential zones, requires owners to get a permit for a one-time fee of $110 with a small yearly renewal fee, and requires the exterior posting of contact information in public view, and a response within 24 hours to any complaints. Its success is seen in that over the past 5 years there has not been a single complaint. Encinitas: Like Solana Beach, Encinitas adopted its ordinance early on, and passed it in 2005. It requires a permit with an annual fee of $150, it limits the number of occupants in rentals to 2 people per bedroom, plus one additional person per home, and it requires property owners to post their contact information on the outside of building and to respond within 24 hours if problems are reported. Oceanside: Owners are required to have a business license and to pay Oceanside’s 10 percent hotel room tax and a 1.5 percent fee to the tourism marketing district. Any stay over 30 days is not considered a vacation rental and does not pay the room tax or marketing district fee. Carlsbad: The City Council adopted regulations in April similar to those of Encinitas and Solana Beach, which just took effect on June 4. However, Carlsbad decided to allow them only in its coastal zone, an area entirely west of El Camino Real and excluding much of the downtown “village” area. What about other major California cities? Santa Monica: Last May, the city council unanimously voted to ban vacation-home rentals of fewer than 30 days, although it will allow Airbnb-style stays in a portion of an occupied house or condo, but owners must get a permit and collect lodging taxes. The new regulations go into effect June 15. Santa Monica officials estimated about 1,700 housing units in the city were regularly rented out as vacation rentals. Imagine someday, you wake up and take a leisurely stroll through the community and you find the entire village is filled with vacationers, – every house, every condo, every apartment, every little shack and cottage have been rented out for the weekend or week. The sidewalks, cafes and bars are filled completely with strangers. You walk around and don’t see anyone you know. Small clusters stand on corners, looking at maps or their ipods, trying to figure where to go. There’s long lines, not just at Hodad’s but at just about every restaurant. Even some of the bars have lines to get in. So, the businesses are raking it, though, for these vacationers are spending more money this weekend than the residents spend in a year. Yet you look around and you no longer recognize the place. Time for a vacation. Frank- I’ve been watching this play out for a while. I wonder if you know how many of these complaints are coming from “traditional” vacation property interests- the ones on Mission Bay with the signs posting weekly/monthly etc? Or the hotel interests? And how would those professionally managed properties benefit from zoning changes such as those being considered? Walking around parts of Mission Bay during certain times of the year, it’s like a ghost town: no one lives full time in those bay front properties, they are all vacation rentals- and the congestion there is still off the chart. Also- Whenever I hear public safety concerns based on anecdotes, but without accompanying facts, I get a bit skeptical. Is there any evidence of increased reports of arrests or crimes committed by people staying in these lodgings? It seems unlikely- considering they could be easily ID’d by the people who made the place available. Or is it the “nuisance” factor: parking, noise, etc. that concerns people? Finally… is this in some ways similar to McKinney pool visitors- when the “wrong” visitors show up, and/or a new market appears that challenges the established hotel/tourism interests- that’s what leads to these concerns? We’re having some tech problems. I’m a user of Airbnb, from Canada to Germany and OB. I grew up in OB but no longer live there, but I understand the issue from both sides. I can tell you that Airbnb does have a policing method of its own, a social media profile and rating system, much like eBay. This goes a long way to help those folks renting out their properties to see if the potential short term tenant is trustworthy or not. I love OB and respect the neighborhood, I hope the community can help manage this situation in a way where people like me can still visit in an affordable way. It’s all about you the visitor and the property owner isn’t it? How selfish of you. Airbnb’s social media and profile system helps the Owners of their business, but not the residents of the community as it do not reflect the damage the Commercial Rental Property does to the neighborhood. There’s the OB Hostel. You want affordable? Stay there. Keep communities relevant for the inhabitants. Huh, taking a family of 5 to the OB Hostel? Now, there’s thinking outside of the box! There’s a healthy balance for me the visitor (looking out for #1), the property owner (one who would like to make a profit) and the neighborhood (My family is always respectful of the neighbors, can’t say it’s been mutual). Locals should work towards a resolution with local government, I totally agree, even if that means I won’t be able to afford to stay a few days down by the beach each time I visit. The survival of the local community comes first, I felt that way even during the Starbucks invasion years ago. Take your family of five to a place called a hotel. A vacation isn’t a right, it’s a privilege. Who said anything about a “vacation”? No, I’ll continue to feed the economy with airbnb, it’s less expensive and makes my time in OB much more manageable and enjoyable. The OB hotel is OK, but it’s old and very noisy in and around Newport at night. I like to blend in as one of the locals when I visit, quiet and discrete. One day, I hope to afford to move back, or at least purchase a property with the money I save by not going to hotels. But you’re not feeding the economy. You’re giving money to one person (who’s not qualified to provide lodging as they haven’t gotten the proper permits) and a faceless corporation 500 miles away in San Francisco. Additionally, your use of such a service drives up the rent in OB and also takes away viable housing for OB residents that do contribute to the economy. If that’s your “plan” to be able to move back to OB- you need a new plan. Preferably one that does not contribute to the destruction of our community. You so quickly discount the “one person” in the community. Why? Your answer is more regulation, more permits? That doesn’t drive up the prices? You’re clueless when it comes to business. Work towards a solution, people. I am, every time I stay at an airbnb place, I make it a point to provide critical feedback, including asking them to support their community. If your solution fails or doesn’t have enough support, find common ground. I’m not willing to compromise the future of my home for someone elses profit. If the regulation is the banning of all rentals less than 30 days- then I am all for it. Nothing less. Your actions ( driving demand thus making an airbnb more fiscally attractive to landlords than long term rentals or homeownership) contribute directly to the erosion of our communty. Those of us who actually live here see it first hand. You as a visitor do not. Airbnb users would have a public profile that would be registered to any rental they visit- complete with home address, phone number and email. 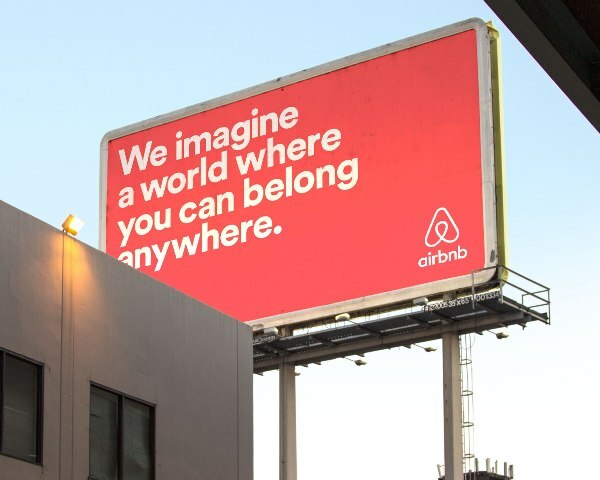 Neighbors of airbnbs could provide feedback on visitors that would be visible to propective airbnb landlords AND neighbors of those properties. Airbnb landlords would have similar profiles. Enough bad reviews on either wpuld shut down the renter or landlord. Not a bad compromise, but surely you would want a 2-sided story? So, make the neighbor also have a public profile and allow the banter to be equal. I’m curious, how do you handle existing neighbors that are rowdy and loud? You know, then ones that play their music loud and fight at all hours during the night? Typically, I’ve seen this at properties down near the beach from Narragansett to Voltaire. It hasn’t changed from the 80’s to now. Is there a grassroots movement to help change the hearts and minds of existing residents to be cognizant and respectful of the neighborhood? If so, this should be part of every airbnb rental property welcome packet. I’d argue that the majority of airbnb renters are more well behaved than traditional renters. Just want to say, I have three vacay rentals in OB listed on Airbnb. I’ve been doing this for over two years, and never a problem with any of my guests. What I sometimes need to do is to apologize to my guests for the bad behavior of the permanent tenants down the block. I think that we should limit vacation rentals. It seems that the permit route is too easy. Just pay some money and you have a permit. As a homeowner in the future it might be nice for a month out of the year to rent out our place in order to pay for our vacation. I think that SF has the best option for keeping a community a community…..people that live there primarily full time…..keeping an eye out for neighbors….knowing when something is not right…..and most importantly being neighborly. I think the way to go is to limit vacation rentals to 60 days or less a year. Duh, Prop 13 affects every property in California. Taxes are based on the purchase price of the property, and are subject to an increase of a limited amount each year, as determined by the county assessor. Prop 13 is totally different then what a home buyer faces when purchasing property at the present time. My point is if one reaps the benefits of low tax payments as a result of Prop 13, then one should reside in the home and not use it as revenue generation/business….but if one chooses to rent their home as vacation rental then they should have to give up their right to Prop 13. BTW, where are your rentals in OB? There is no way to “give up the right to Prop. 13” All residential property in California is taxed the same way, whether owner occupied or not. So where are your properties?